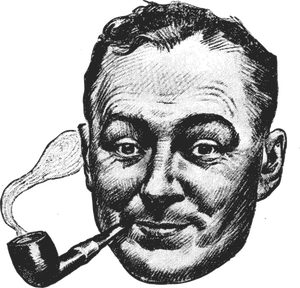 How to recognize some true pipe smokers? They care taken in maintaining their pipe clean. For this, a few tools are requested : a pipe tamper, a pipe-reamer (or a pipe-tool with reamer, tamper and pick all in one) and pipe cleaners. Besides, we advise storing your tobacco in a leather tobacco pouch or hermetic tobacco jar. 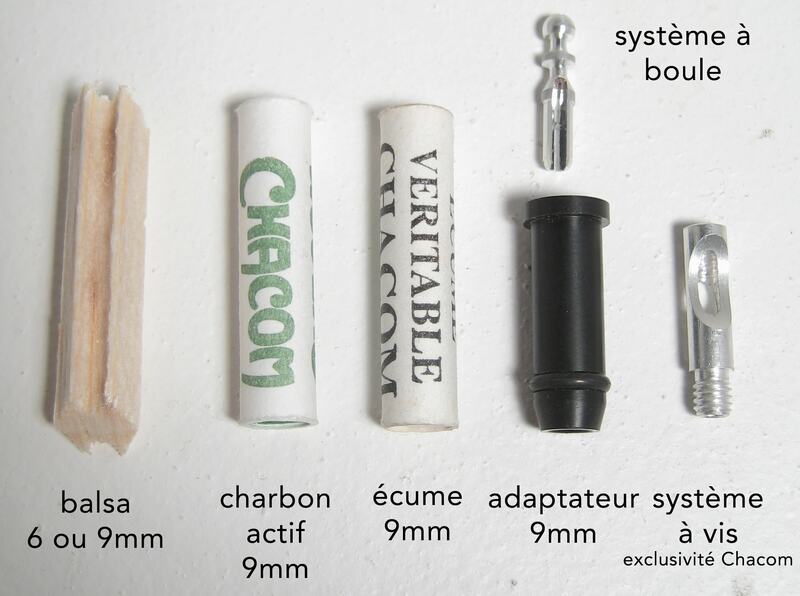 Chacom smoking pipes accessories are specially recommended by our master pipe makers for optimal maintenance. HOW TO BREAK IN YOUR PIPE ? Never smoke a new pipe more than twice a day and never use alcohol or other liquids to break in it : it damages the briarwood. HOW TO PACK A PIPE ? • Always use a cold and clean pipe (a clean pipe is the best way to enjoy the aroma of your tobacco!). • Choose a tobacco that is neither too dry (it generates tongue bite and can burn the pipe), or too moist (it causes a strong salivation and the pipe can generally gurgle). • Fill the chamber slowly by bites to the top. Then pack with a pipe tamper firmly without forcing. Try to puff your pipe. If you feel that the packing is too tight or the hole is blocked, empty the tobacco and try again. HOW TO LIGHT A PIPE ? Use a wooden match or a pipe lighter to avoid burning the outside of the chamber. 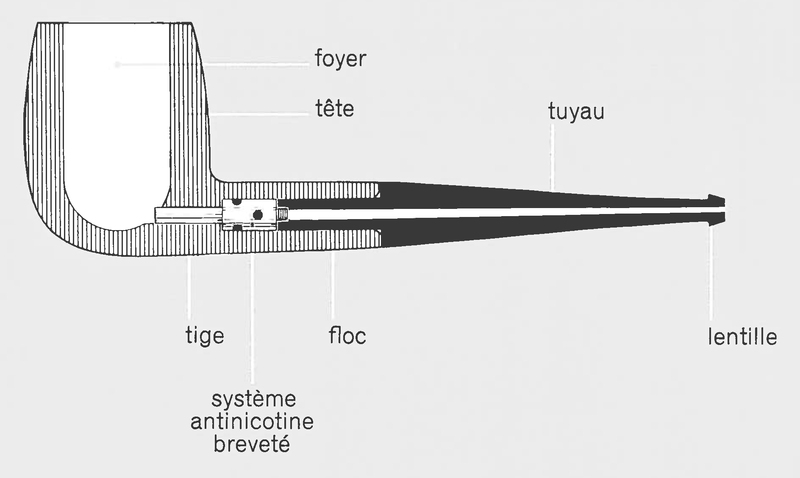 Light the entire surface of the tobacco with a circular movement while sucking, then, as the tobacco rises, compact it to the top of the chamber and relight if necessary. Don’t worry too much about relights. With the passing time, you will relight less and less. 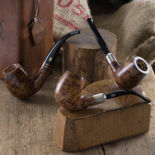 Last advice: before relighting a half-smoked pipe, you must empty the ashes, pack the remaining tobacco, but never relight a smoking pipe that has already cooled down. HOW TO SMOKE A PIPE ? Puff your pipe slowly and steadily to get a soft smoke without heating the pipe. Do not swallow the smoke and make go down the lungs. Keep it in your mouth. The tobacco must be packed regularly to maintain a moderate puff and prevent the pipe from gurgling. Smoke the pipe until the last bit of tobacco. An average pipe usually lasts 40 minutes (the world record in slow smoking is more than three hours!). If your pipe gets blocked, let it cool down and take another one. from the first puff to the last. HOW TO PREVENT TONGUE BITE ? Your tobacco is probably too moist or too… dry. You may be smoking too fast or you use a poor-quality tobacco. In any of this case, your tongue is killing you ! Put the pipe down and try again later. The extinct tobacco pipe must immediately be emptied. If there are some moist tobacco bites, remove it immediately with the pipe cleaner to avoid a bad smell. Gently tap your pipe on the palm of your hand or on a pipe ashtray (with a cork knocker) to remove the ashes and tobacco. Never tap your pipe on a hard stuff that could create damages on the briarwood or even break the shank or the stem. Then, rest the pipe on a pipe stand for a day or as many days as your pipe rotation will allow before smoking again. HOW TO CLEAN YOUR PIPE ? • Open your pipe by holding both parts near their point of assembly and turning clockwise, as if screwed. Do the same gesture when putting the stem back. • Always let your pipe cool down before maintenance. You might damage the shank while opening a hot pipe. • Wash the system if necessary with a small quantity of alcohol. • Feed a pipe cleaner through the stem and shank. Use a soft cloth to polish up your pipe. Keep and use the pouch that you obtained with the purchase to ensure your pipe looks good. • Carbon layer: as wood contracts hot faster than carbon, a pipe with an excessive deposit can crack. Even if the layer is too weak, the pipe heats up and generates the carbonization of wood. The thickness of the carbon layer must measure between 1 and 2 mm depending on the size of the chamber. If the carbon layer gets too thick, remove the superfluous with a pipe reamer that you can find in the Chacom pipe-tool, specially designed to avoid the risks of drilling the chamber.